2016 has been a big year, not only for KYD but for the arts, Australia and indeed the world. The KYD team take you through some of their highlights of the year in books, film and TV and more. 2016 was a big reading year for me. In January I vowed to drastically reduce my hours of screentime – be they phone or telly – and I’ve found that I’ve zipped through my bedside stacks in a way I haven’t managed since I was a kid. Not only that, I’ve found that I’ve read more widely than is usually normal for me: I’ve devoured more children’s lit (Ransom Riggs), more non-fiction (Michael Pollan, Magda Szubanksi, Norman Doidge), and more I’ve-been-meaning-to-get-to-this titles (Tim Winton’s Cloudstreet) than in the last five years combined. One of my favourites this year was Neil Gaiman’s The Graveyard Book – the first of his I have read. I also loved Tassie writer Heather Rose’s very beautiful The Museum of Modern Love, and Graeme Macrae Burnet’s His Bloody Project, which I found transporting and deliciously frustrating – I loved the way Burnet played with notions of doubt, criminality and justice. 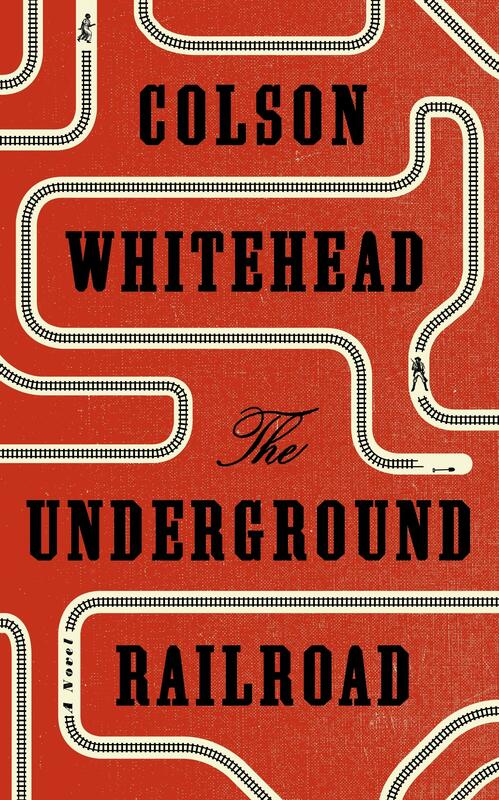 Colson Whitehead’s The Underground Railroad was the book most frequently recommended to me by booksellers throughout the year, and having just finished it I can say that they certainly know their stuff. I cannot forget it. Finally, there were the books I read while finishing up my own novel: beautiful works by Irish writers I had never heard of prior to embarking on my own Irish project. It would be amiss of me now, not to recommend their names to an Australian audience: Éilís Ní Dhuibhne, Angela Bourke, Eugene McCabe’s Death and Nightingales, Donal Ryan, and one of the most wonderful short story writers I’ve read in recent years, Claire Keegan. Her collection Walk the Blue Fields is brilliant. So many things to choose from! I finally read Elizabeth Harrower’s The Watch Tower and have not stopped thinking about it since. I found an old copy of Pat Barker’s Border Crossing at the Eat Street Markets in Brisbane, and consumed that in a single sitting – it’s a riveting tale of a psychologist’s re-acquaintance with a young man who as a child had been convicted of a brutal murder. My best television viewing for 2016 has been Occupied, a Norwegian thriller available on Netflix. It depicts a ‘soft’ invasion from Russia after the Greens party’s prime minister, in an historic moment for environmental activism, legislates to stop the production of oil and supply to Western Europe – with predictable global fallout. It’s well-plotted, fast-paced and chilling in its prescience. 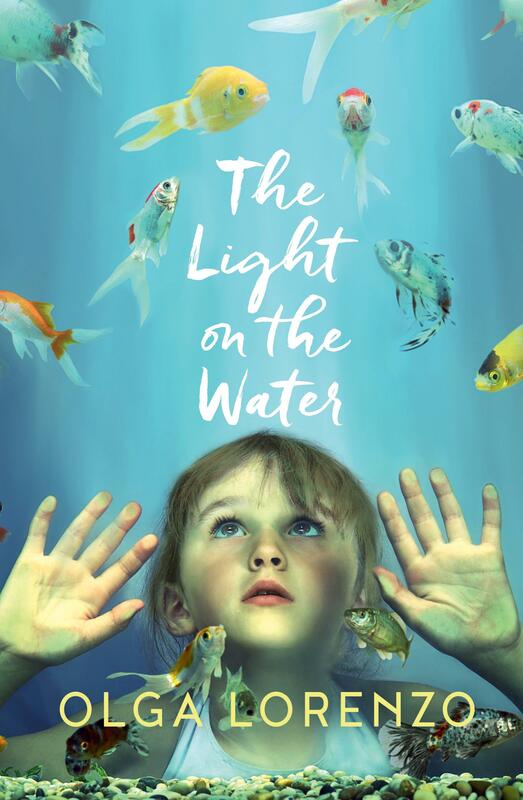 It’s been a while since it came out, but if you never got around to reading Olga Lorenzo’s The Light on the Water, I urge you to find the time. Lorenzo draws on and expertly melds our folklore with our contemporary culture. 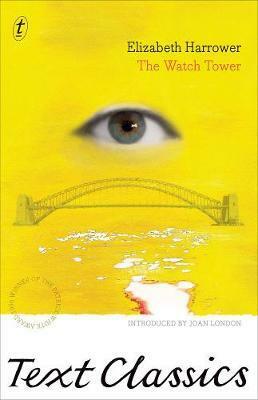 The novel is intrinsically Australian, from the scenery to the social climate, all beautifully conveyed with Lorenzo’s literary flair. It’s an honest and challenging read, but will be worth every moment you invest in it. My TV intake consists mostly of binge-watching Friends during swotvac, but even I branched out a little this year. Peaky Blinders season 3 aired this year and you can find it on Netflix. It’s a little like Underbelly but with a historical bent and hard, old-timey crooks instead of bogans. And it is good. Arrival came out more recently, starring Amy Adams, whose performance is remarkable. It’s unusual to see so reserved a character made heroic in a sci-fi film. That Arrival does so speaks directly to its emotional complexity. I don’t want to give too much away, but this film is clever, it’s surprising and it kept us talking long after we’d left the cinema. Paul Kelly’s ‘Dumb Things’ has been reworked by A.B. Original and Dan Sultan as a part of Triple J’s ‘Like a Version’ series. The original track is one of my absolute favourites, but the altered verses in this version (which also features Kelly) make an almost-timeless song startling, contemporary and relevant. This past year has been a blur (working two jobs, studying and co-parenting a toddler will do that – oh, someone call a waaambulance), so picking out highlights is like trying to remember dreams I had last week. I didn’t get to read much outside of work. 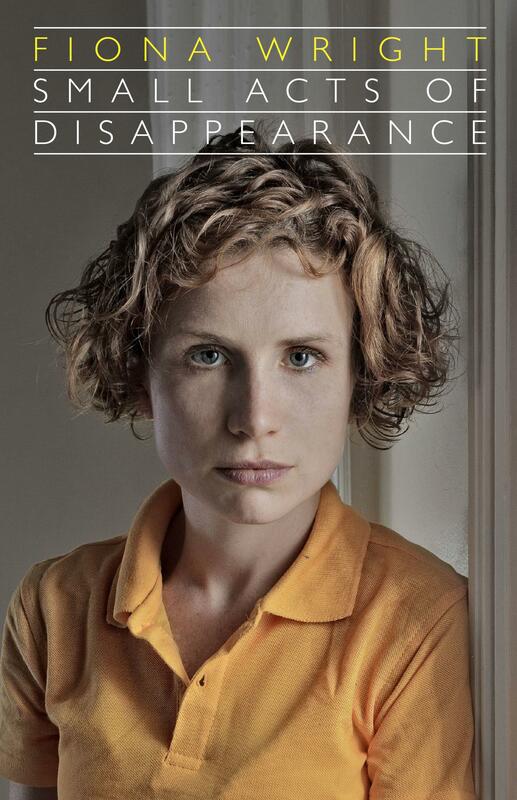 The one thing I managed to read at the start of the year for pleasure, if you can say that about this book, was Fiona Wright’s Small Acts of Disappearance, which was as compelling and affecting as anything I’d read in years. Recently I’ve picked up Bob Dylan’s Chronicles: Volume One for a re-read, after his Nobel Prize win. Late last year I’d stayed in Manhattan’s West Village for a week so I’ve really been enjoying moving around there again with the young Mr Zimmerman. TV-wise, a highlight was The Night Of (also set in that area of Manhattan; I should just move there) which was superb, and Midnight Sun continues a fine run of Scandinavian crime shows in recent years, making a late charge for best show of 2016 for mine. Culturally, 2016 seemed to be a year when diversity reached a flashpoint in Australian media’s consciousness, with new TV shows broadcast like The Family Law and Here Come the Habibs (for all its shortcomings) joining the ABC’s Black Comedy and Please Like Me. Publishers in Australia made some more gains seeking out diverse voices, with writers such as Rajith Savanadasa, Julie Koh and Micheline Lee all releasing well-received books to join the rallying force of nature that is Maxine Beneba Clarke. An Egyptian-Australian Muslim won the Gold Logie. These are small but significant steps that run an ironic counterpoint to the soul-destroying developments in local and international politics. Perhaps something for those of us who contribute to the media to take heart from, and build on, as we head into the new year. 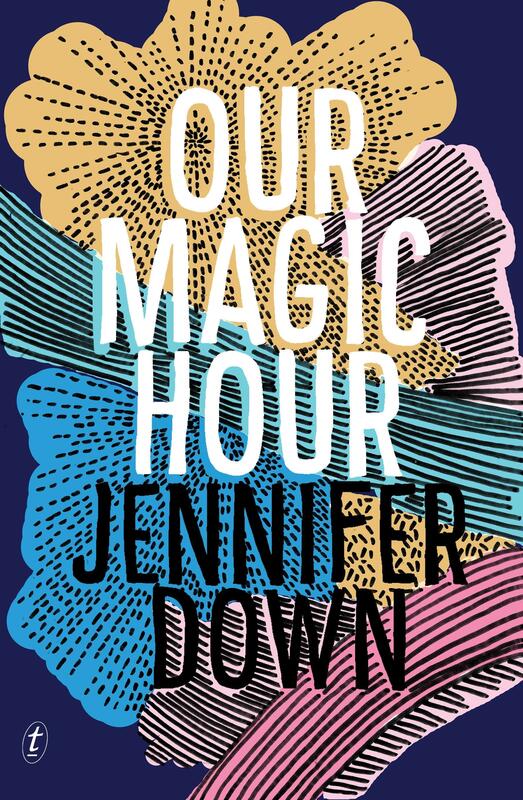 This year I loved Jennifer Down’s Our Magic Hour – Down’s depiction of modern Melbourne is so familiar and evocative that I felt like I’d bumped into her characters at the cafe just the day before. For a book so infused with grief and longing, the sheer amount of love and depth of feeling in the novel made me yearn for everything and nothing all at once, and has stayed with me throughout the year. I also loved Julie Koh’s smart and hilarious Portable Curiosities, Josephine Rowe’s A Loving, Faithful Animal and Holly Throsby’s charming and deceptively arresting Goodwood, a book that nails the duelling senses of communality and isolation of Australian country towns. My film and TV-watching habits have fallen by the wayside a little this year, but despite some narrative faults, I was captivated by the immaculate brutalist aesthetic of Ben Wheatley’s High-Rise. I’ve also recently seen Arrival and would absolutely recommend it – it uses sci-fi tropes to plumb deeper questions about language and the nature of time, and I want everyone to see it so I can talk about it with them. I’ve also added a couple of new podcasts to my regular roster: the Macquarie Dictionary’s excellent Word For Word, Gimlet’s excellent new documentary series Crimetown, Hazlitt journal’s Cavern of Secrets and Peter Taggart’s Clip Show. Probably my favourite moment this year, though, is being in Newcastle for the National Young Writers Festival, a little cluster of Melbourne writers up the back of a pub full of Swans supporters, watching the Western Bulldogs do the seemingly impossible and win the AFL grand final. They’re not even my team, but the exquisite, almost unbearable tension from the very first minute, and the absolute elation when the siren sounded is something that’ll stay with me for a long time. I haven’t always loved sport, but in a garbage fire of a year it’s often seemed like the one shining example that there’s still things to cheer for. 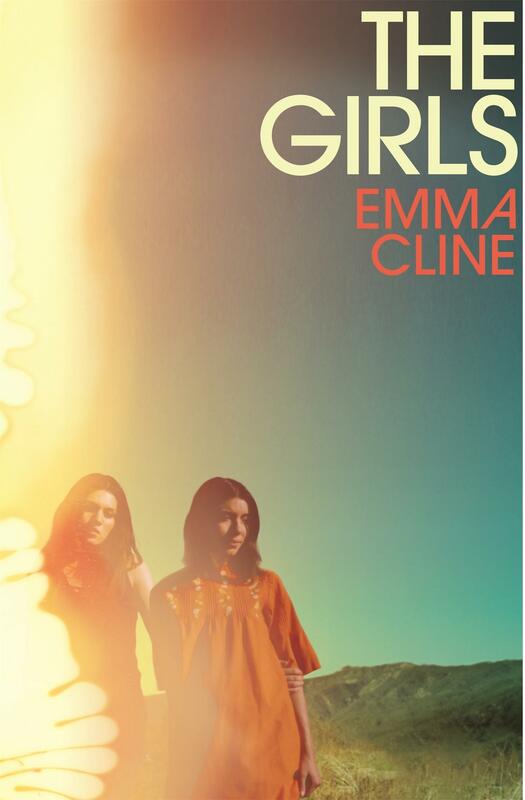 I picked up The Girls by Emma Cline without knowing what it was about, and ended up powering through it in two days. My feelings have been evolving ever since. It’s a dreamy almost-kind of-re-imagining of real life events, cutting between past and present to explore how consequences can reach into the future. It’s not perfect by any stretch, but it’s also the kind of novel that you keep turning over in your mind long after you finish it – which to me is better than the kind of book you put down, think ‘that was good’, then forget about. If we’re getting super technical, this should be a best of 2015 pick because that’s when this film was released, but The Lobster was so good it stayed on cinema screens long into this year. It’s a weird dystopian story of obligation, love and blood noses that could have gone wrong in so many ways but just works. It will make you feel weird about animals though. And glasses. This year I’ve really gotten in to doing Cryptic Crosswords, to the point where I have become the person who tries to rope everyone around me into doing them too. It did get to the point where I found myself chuckling and saying ‘cheeky’ aloud to myself in a café as I solved a particularly tangled clue, and I had to take a bit of a break, but I think I’ve found a good balance too. The Saturday Paper, the Monday Age and the Big Issue cryptics are a good place to start. As someone who loves sleeping and hates the sun, a music festival is not my natural environment. But somehow I found myself at Golden Plains – and it was actually pretty great. It was kind of like the best bits of school camp (being around your friends, not having to study) coupled with the pros of a house party in your own house (being able to go to bed whenever you want without having to travel). Plus there’s a good soundtrack and environment, I guess. I’ve literally just today finished watching the new 10-episode comedy series Search Party, and I recommend you do the same. I was drawn to it initially because it stars two of my favourite people in comedy, Alia Shawkat and the lesser-known (but surely not for long) hysterically funny John Early. I was also drawn to it because it was co-created by Michael Showalter, who created Wet Hot American Summer, but it has a very different tone. It is refreshingly unique and hard to describe – I suppose it’s an extremely darkly funny, satirical, millennial, mystery? Whatever it is, Alia Shawkat is superb as she struggles with finding meaning in her life through any means possible, and you should probably watch it. Sometimes a thing is created that feels as though it was made just for you and your specific interests, and there’s no possible way anyone could be as happy about its existence as you. I had this moment recently when Beyoncé teamed up with the Dixie Chicks at the Country Music Awards. Not only is it a huge f*ck you to the country music industry, it was BEYONCE with the DIXIE CHICKS and I love them all SO MUCH and this was obviously JUST FOR ME. It’s mostly a performance of Beyonce’s song ‘Daddy Lessons’, but they throw a bit of Beyoncé singing along with the Chicks’ ‘Long Time Gone’ in there as well. It’s perfection, and we are blessed. I have to go kind of braggy for this one, but another highlight of 2016 was getting to meet Mallory Ortberg, Hera Lindsay Bird, and Ivan Coyote at separate events this year. They are all from different parts of the world, but all have a similar huge intelligence that is blanketed in irreverence and humour. I adore it, and I got to meet them all and talk to them as if we were equal humans and I deserved to be in their presence. Also Ivan Coyote winked at me from stage and everyone within ten seats of me melted. Best. Released towards the end of 2015, Lauren Groff’s Fates and Furies didn’t find its way into my hands until the beginning of 2016. One of the first books I read this year, it has steadfastly remained one of my 2016 favourites, and I think back on it often. Deftly complex and deeply human, I loved spending time in Groff’s world – no matter how ugly and difficult it often was. Watching Groff speak at Adelaide Writers’ Week was also a highlight of the year, sitting in the second row with a girl gang of fellow book lovers. The beautiful thing about AWW is that it is free, and so you can spend the whole day there discovering writers you’ve never heard of – the trade-off being the proportion of questions that are truly dire (‘I’ve not read the book but…’) is rather worse than normal. When an older man reached the microphone and said: ‘You said your book is about “female rage”, which isn’t a concept I’ve come across before. Could you expand what you mean?’, my friends and are were ready to jump to our feet and give him a demonstration. Instead, Groff calmly leaned into her microphone and drolly uttered ‘Oh, come on. You have,’ before cooly sitting back and waiting for the next question. It was glorious. I first saw and reviewed Girl Asleep at the Adelaide Film Festival in 2015, but it was such a joy to see it reach cinemas in 2016 and get to revisit it. I saw it a few months after moving to Melbourne, and so not only did I fall in love with the film all over again I watched it with acute pangs of homesickness and cried my way through almost the whole thing. 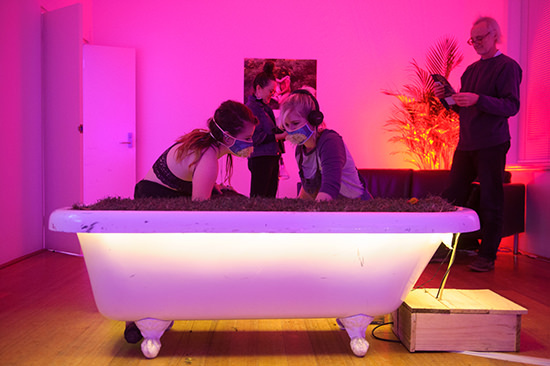 It’s no secret that I love Next Wave, the festival which expanded my understanding of what performance could be and really gave me support as a young writer. Returning to Melbourne for my third festival was a joy. Nat Randall’s The Second Woman was one of the most significant pieces of new Australian performance I’ve ever experienced, but I also loved the hours I spent in the rest of the city with the festival: time in a van travelling to outer space with Rafaella McDonald and Natasha Gabriella Tontey; being the only person laughing at stylistic references to Giselle in Angela Goh’s Desert Body Creep; discovering the power and celebration of Hannah Bronte’s work in a small gallery space in Brunswick. The festival keeps me coming back to discover new artists, new voices, and new spaces in Melbourne: I can’t wait to see what it shows me in 2018. Just quietly, I’ve found myself more than once this year burst in to tears at reading the acknowledgement pages of books. This page or two of heartfelt thanks, of talking about the work undertaken and the support offered, is such a beautiful and crucial gesture that sometimes I find it overwhelms me. Unexpectedly finding my name on on of these pages buoyed me for weeks – thanks, Ben. I feel so much thanks for everyone who puts in the work of creating art, everyone who supports in and allows it to flourish, and for all that it gives the world that I’ve come to take the reading of these pages with more care and more seriousness than I’d ever thought to before, and even when they make me cry they make me so happy, too. When we lined up Eimear McBride for the podcast (coming up folks) I hadn’t read A Girl is a Half-Formed Thing or The Lesser Bohemians. I am so glad that urgency pushed them up the to-read list. Both deal with a girl trying to construct herself and the world around her, and in both it’s a fairly messy process. Start these on a hot night when you have nowhere to be in the morning and proceed with getting drunk on the language. A few months ago I started walking from work to the station a few times a week. It takes an hour but with traffic the bus can be almost as long and it’s perfect podcast listening time. I ran through what I regularly listened to fairly quickly then picked up About Race (for race relations in the US), LifeAfter (speculative mystery) and Homecoming (speculative mystery with David Schwimmer?). I’d recommend all of them for binge listening over the break. There are so many excellent shows that came out in the last year that nobody needs me to recommend them. So I’m going to come out in favour of shows you can put on for forty minutes when you’re too tired to watch anything too complex. Sure it’s a bit odder now that I’m basically Lorelei’s age but Gilmore Girls, as a fast-talking coffee-drinking woman how did I miss you the first time round? Read Gerard Elson’s recommendation of Deborah Levy’s Hot Milk here. Some books to have stuck with me from 2016—a year in which the greater part of my reading was given over to older non-fiction titles, for research purposes—include the following, listed here as they spring to mind (i.e. in no particular order): Their Brilliant Careers by Ryan O’Neill; Men by Marie Darrieussecq; The Lonely City by Olivia Laing; White Sands by Geoff Dyer; Ruins by Rajith Savanadasa; The Visiting Privilege by Joy Williams; Do Not Say We Have Nothing by Madeleine Thien; In Other Words by Jhumpa Lahiri; What Belongs to You by Garth Greenwell; Complete Stories by Clarice Lispector; The Notebook Trilogy by Agota Kristof; and Frantumaglia by Elena Ferrante. This list is far from comprehensive, and I am sure I read many other great books in 2016 which presently escape me. I didn’t manage to catch many films – or any TV! – in 2016, but two recent releases which would have been high on this list, no matter how much I glutted on movies, are Pedro Almodóvar’s Julieta and Andrew Dominik’s astonishing One More Time With Feeling. Eva Orner’s Chasing Asylum and Jennifer Peedom’s Sherpa also deserve to be mentioned here. I did a much better job of keeping up with music in 2016. Some favourite albums from the year that was include: ★ by David Bowie; Skeleton Tree by Nick Cave and the Bad Seeds; Lemonade by Beyoncé; My Woman by Angel Olsen; Front Row Seat to Earth by Weyes Blood; Freetown Sound by Blood Orange; Singing Saw by Kevin Morby; Don’t Let the Kids Win by Julia Jacklin; A Seat at the Table by Solange; Mangy Love by Cass McCombs; Feelin’ Kinda Free by The Drones; The Hope Six Demolition Project by PJ Harvey; A Moon Shaped Pool by Radiohead; Human Performance by Parquet Courts; Atrocity Exhibition by Danny Brown; Sleepless Girls by Harry Howard and the NDE; Thieves by Tracy McNeil and the Good Life; Adore Life by Savages; Teens of Denial by Carseat Headrest; La Arana Es La Vida by Kid Congo and the Pink Monkey Birds; The Ghosts of Highway 20 by Lucinda Williams; Wide Asleep by Sophie Hutchings; and You Want it Darker by Leonard Cohen. Phew!